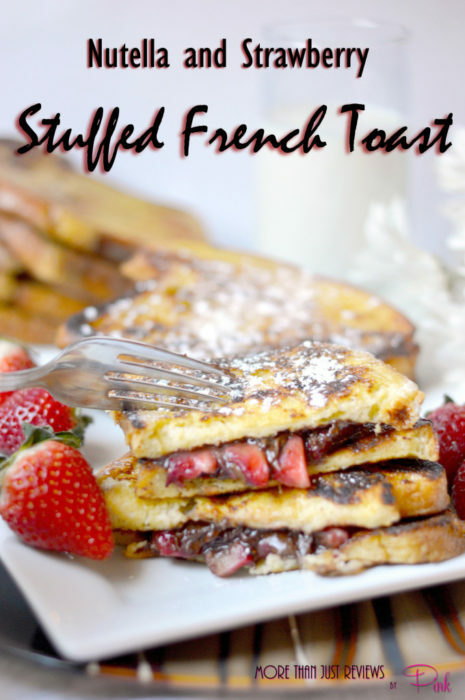 French toast is one of our family favorite breakfasts, and over the years, I have stuffed my french toast with all sorts of things from sliced cheese to eggs. My kids aways enjoy when I cook breakfast, our lives are so busy that, that doesn’t happen very often. I work nights in a bar and sometimes don’t get off till 3 A.M. I get home and sleep a few hours and then get up to take them to school by 8 A.M. and when the weekend gets here they scatter, they don’t want to be home with boring ole mom. 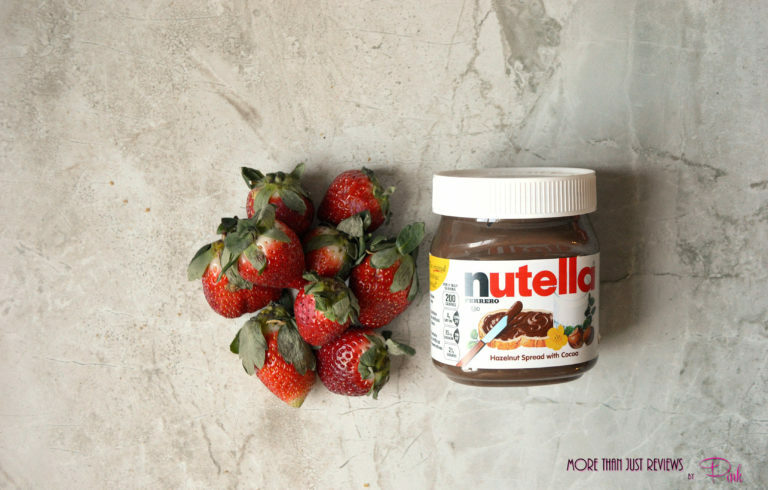 So, when I cook breakfast it’s a treat, but then again anything with strawberries and chocolate is a treat, right?! 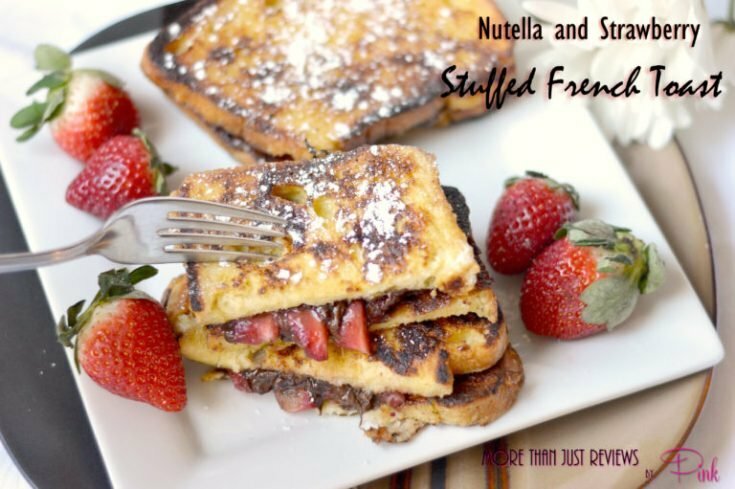 This Nutella and Strawberry Stuffed French Toast Recipe is so super easy to follow, a 6-year-old could make it. Well, we don’t want a 6-year-old on the stove, but you catch my drift. 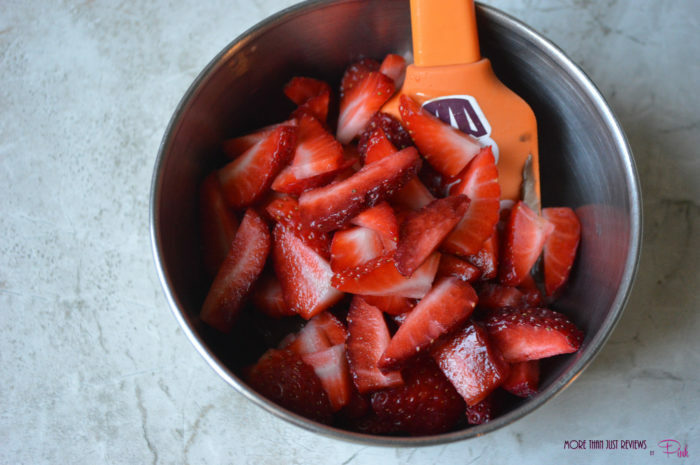 We really enjoyed all the flavor in this recipe and it was also very filling. 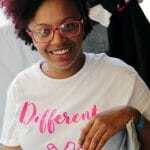 I hope you enjoy it as much as we do, and don’t forget to sign up for my newsletter (at the top of the sidebar on the right) so you never miss a post. 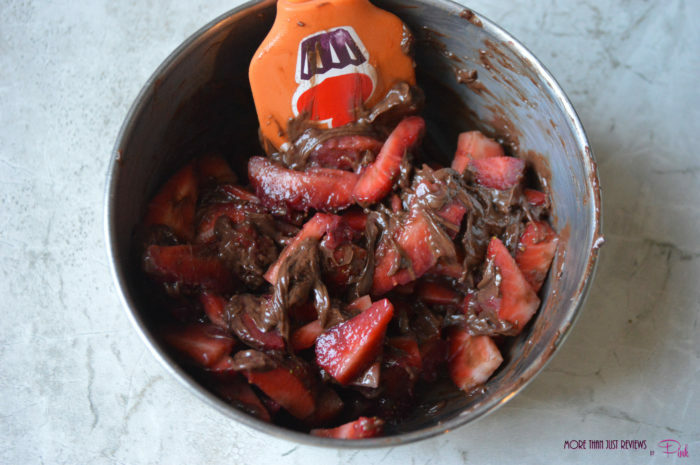 If you like this recipe, check these out too, Red Velvet Cookies and Cream Brownies Recipe and Cherry-Chocolate Volcano Cookies. 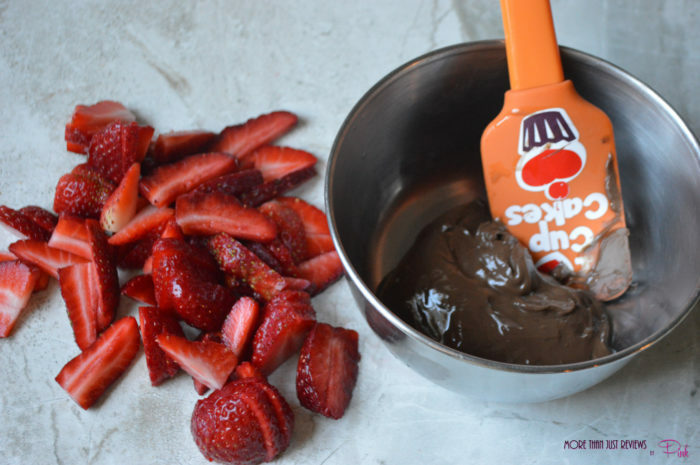 In a sauce pan combine the Nutella and strawberries, cook on low heat for 5-10 minutes, or until the strawberries are cooked to the consistency you like. Put aside to use later. 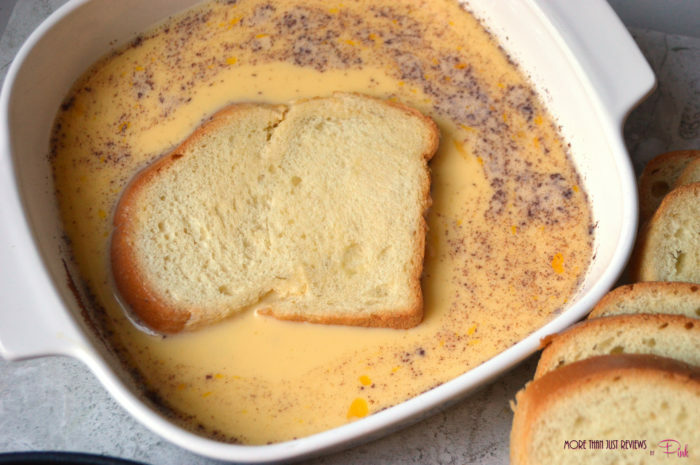 In a casserole dish crack the 4 eggs, add cinnamon and milk, combine and mix well. 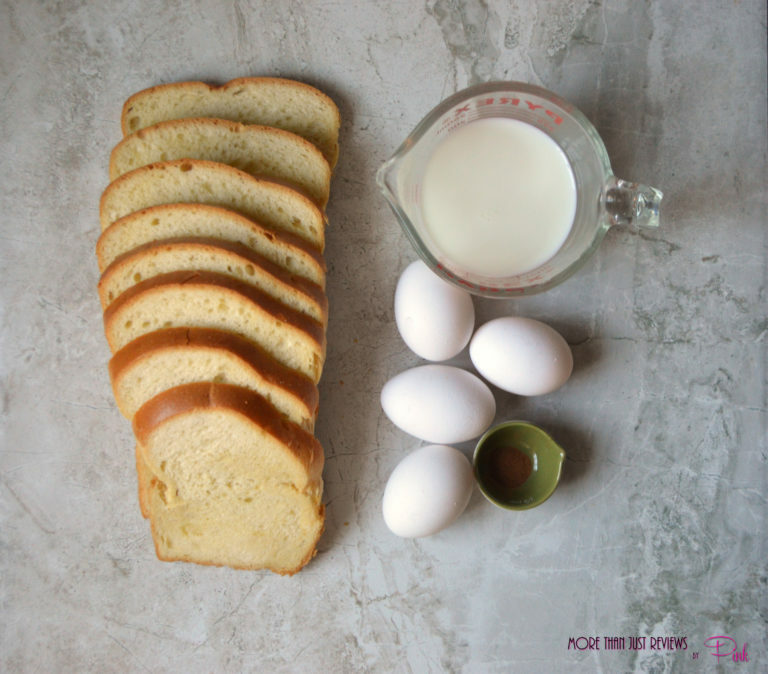 Dip the slices of bread one by one. 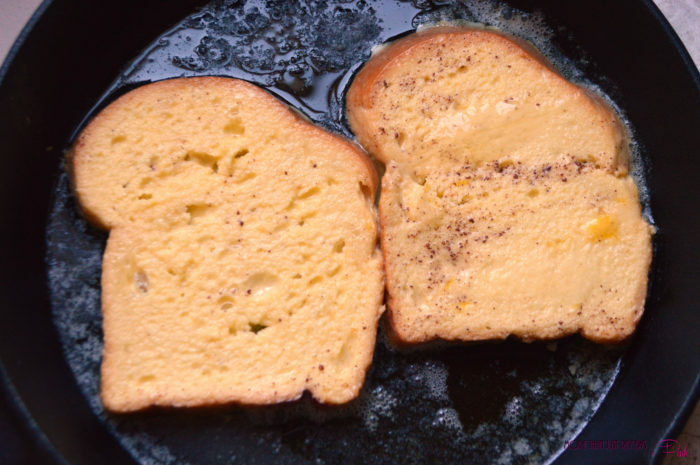 In a large pan insert 1 tablespoon of butter (you will repeat this for every single new pan of french toast you need to make. 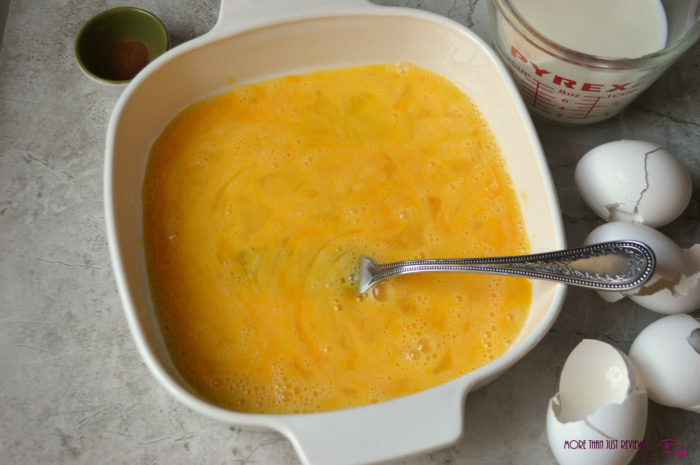 You can skip the butter, use less or add more if you like. 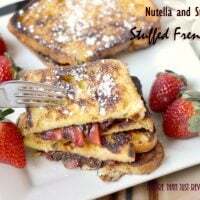 Once you have prepared all of the slices of french toast you will need to simply put 1 slice on a plate, then add the strawberry Nutella, then top with another french toast slice. Dust with powdered sugar. Serve and Enjoy!